I was home sick today and when I thought about my foto of the day at some stage, I got worried that I would have to post a picture of me in bed. But luckily our crazy neighbour came to the rescue. 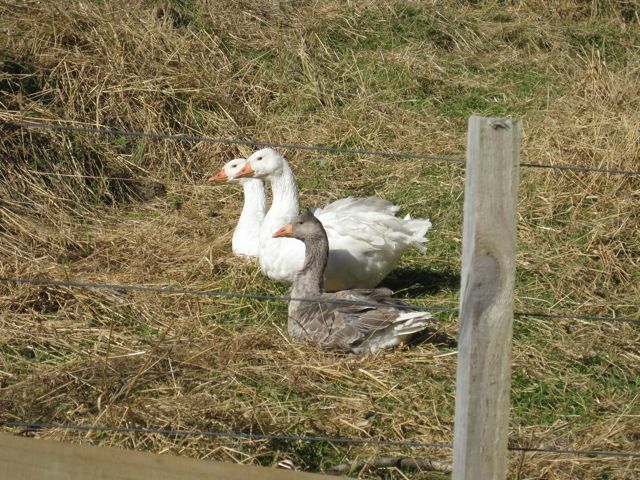 He recently got a couple of geese (in addition to the sheep, chickens, ducks and kunekunes), and today they spent the afternoon in the paddock behind our house. Great opportunity for a photo.